Abracadabra! I wish it was as easy as that. Just saying it could make all the weird notifications that I get on my iPhone vanish. I simply wanted to download a free app so why would the App Store send this message: Verification Required: Before you can make purchases, you must tap Continue to verify your payment info. I am sure I am not the only one facing this problem. 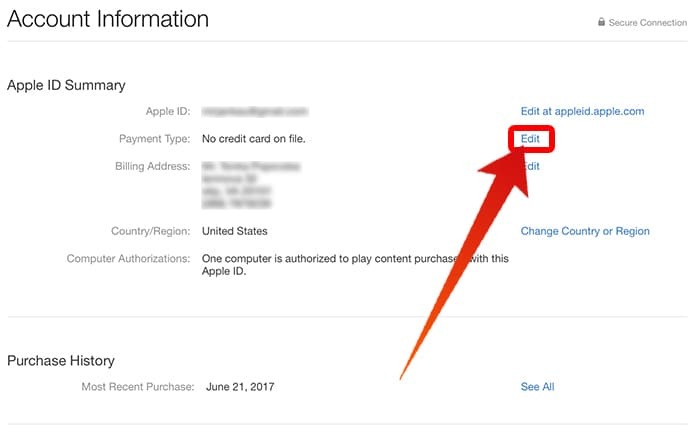 It just doesn’t make sense to many iPhone users why Apple should be requiring our credit card information for free apps. I delved deeper to clear my confusion. I discovered that the credit card you previously supplied to the App and iTunes Stores might have expired. Hence, the message “Verification Required” that you see. However, my problem was different because my credit card was not expired. I still ended up paying a small fee for my free apps. I realized there must be another solution to the problem. I investigated some more and found a very simple fix. It requires you to follow a few easy steps in your iPhone. Step 2: Scroll down to the iTunes and App Store and select by tapping on it. 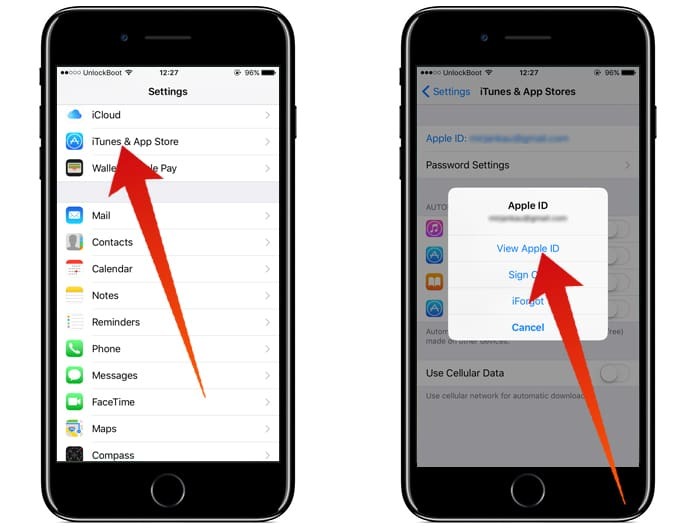 Step 3: Upon tapping on the Apple ID you will get to see four options: View Apple ID, Sign Out, iForgot, Cancel. Step 4: Select View Apple ID. Step 5: A prompt Sign-in Required would appear. Enter your password. Step 6: Your account information window would open. Step 7: Tap on Payment information. Step 8: Four options would appear in the Payment Type: Visa, Mastercard, Amex, None. Select the None option. This would hopefully solve your problem of the “Verification Required” message even when downloading free apps. 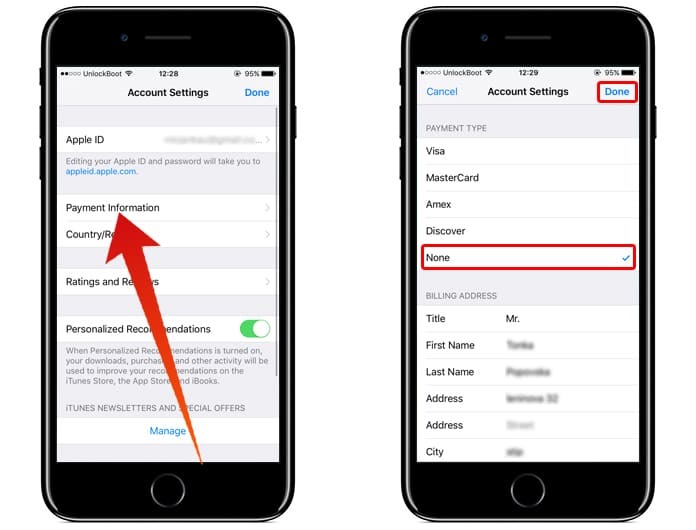 Some iPhone users, however, have complained that they don’t have the option of “None” in the Payment Type. This might be the case if you have Family Sharing Option turned on. 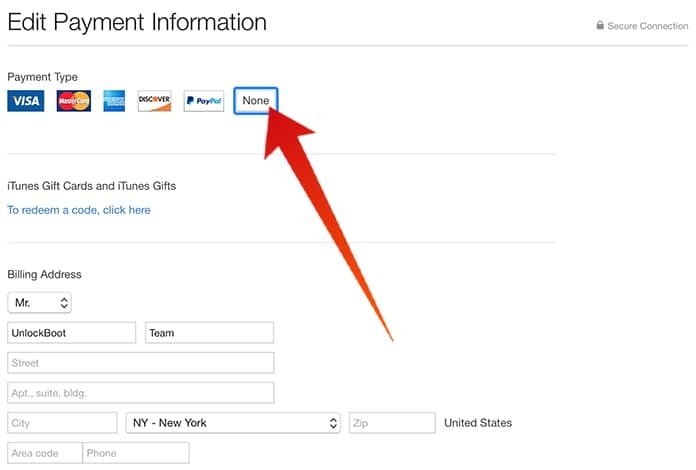 For iPhone users who don’t see “None” in the Payment Type, you will have to then change payment type using iTunes. Step 1: Open iTunes on your computer. 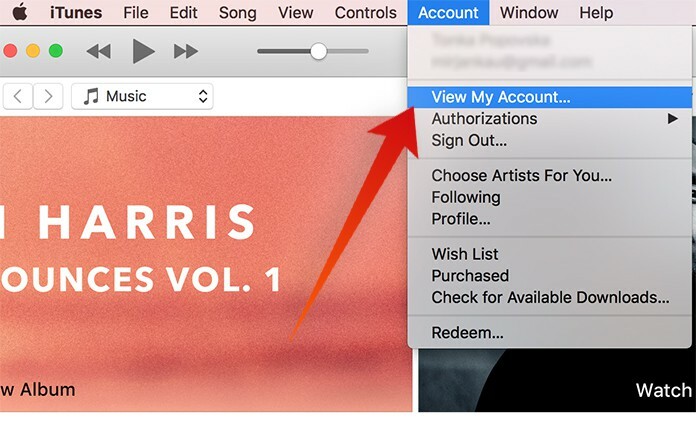 Step 2: Sing in with your Apple ID. Step 3: Select View My Account Info from the drop-down menu that appears. Step 4: You will be required to sign in using your Apple ID. Step 5: Edit Payment Information from the Account Info window that opens. Step 6: Click on None from the four options available. Step 7: Click on Done. 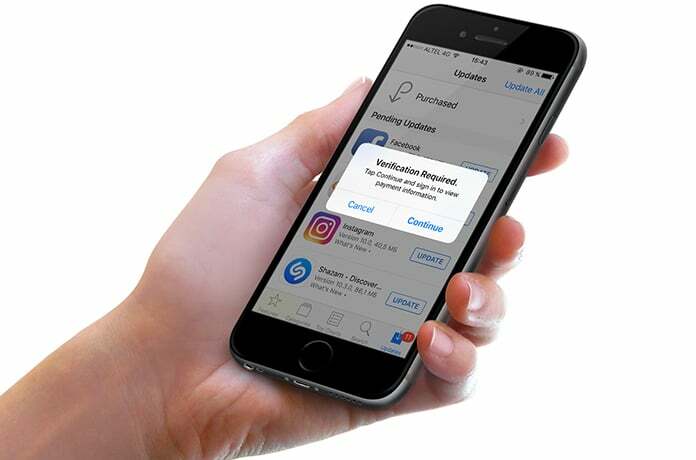 Now enjoy downloading as many free apps as your heart desires without the annoying Verification Required message.